Remember the anticipation of refreshing dips in the pool back when you first purchased your home or hired a Katy pool contractor? Now that you’re a proud pool owner, a new reality has set in: the need for Katy pool services. Keeping a pool sparkling clean isn’t as easy as dumping in a few scoops of chemicals and skimming the occasional leaf from the surface. Pool ownership requires regular maintenance. If you don’t want to do the job yourself, count on Katy Pool Services to keep the pool sparkling clean and ready for your enjoyment. 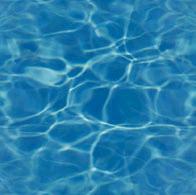 Has your pool water lost its luster? Water clarity is affect by a host of factors including microscopic particles too tiny to be caught by filters, bacteria (even dead bacteria killed by pool chemicals), sunscreen, dead human skin cells, sweat, pollen, insects, makeup, body oils, deodorants, and just about any other material that can be blown in by the wind or shed off of swimmers. While filters capture most of these particles, they aren’t able to capture them all, especially the microscopic ones. While you can’t see individual microscopic particles with the naked eye, when the pool water is saturated with enough of them, the water becomes cloudy. Many of these particles are suspended in the water, lacking the density to fall to the pool’s bottom. While pool chemicals kill bacteria, the remains of the organisms are left floating in your pool water. This is why chemicals alone don’t solve the water clarity problem. Modern water treatments are available to keep the pool water crystal clear. These include alum and polymer treatments that attract the particles, forming larger clumps that can be vacuumed or filtered out. We serve all of Katy with exceptional pool services designed to keep your pool sparkling clean, inviting, and refreshing.